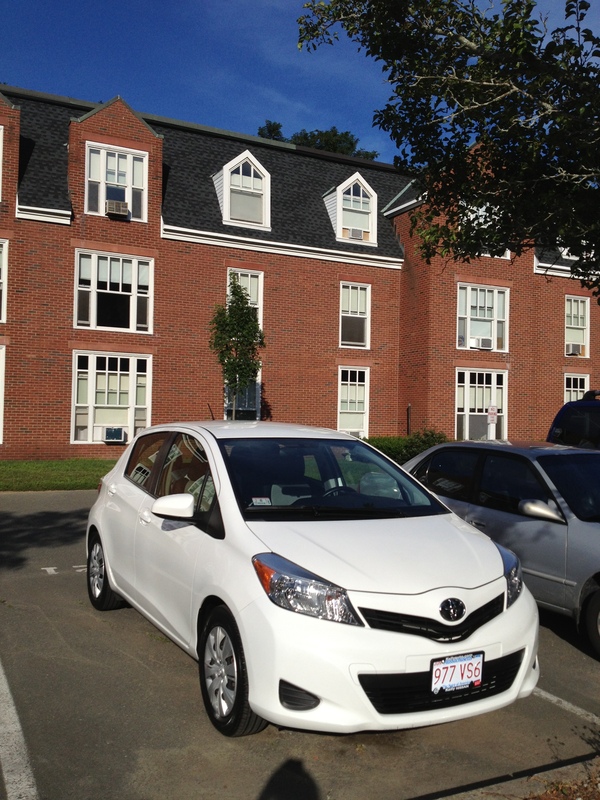 It’s been 22 days since our little white Toyota Yaris entered our lives. Leaving behind Shadowfax, Alex’s ’95 Honda Civic, we’ve struggled to come up with comparably awesome name that evokes the essence of our new car. After much deliberation, we have narrowed it down to three options. We are now calling on our community to help us make this very important decision. Votes will be counted through 11:59 PM Eastern Time on Thursday, August 29. We will then reveal the winner on Friday or Saturday. Thank you in advance for your support! *8/30/13: And the winner is… Mrs. Hudson! It was a close race and all names led at least once during the voting period. Alex is relieved that his first-choice name won; he was slightly appalled that I “sold our car for [blog] views.” Well, Alex, the people have spoken. Thanks to the 59 people who voted! on weakness: the past few weeks I’ve become more familiar than I would like with my own limits. in a intense season of work where I thought the only way I could succeed was to put my head down and power through, I just haven’t been able to do it. yet time and again, just when I think I can’t face the day or the task before me, God gives me exactly what I need to make it through. the weeks ahead are daunting, but I am not afraid, because I know He will hold me up. if I succeed, it will be because of this truth: “My grace is sufficient for you, for my power is made perfect in weakness.” here’s to admitting our weakness and trading it in for perfect strength.